On my bookshelf, lower down, near the corner, behind the chair in which I sit when I make my word review videos, is an old book I first saw on my father’s bookshelf when I was a child. 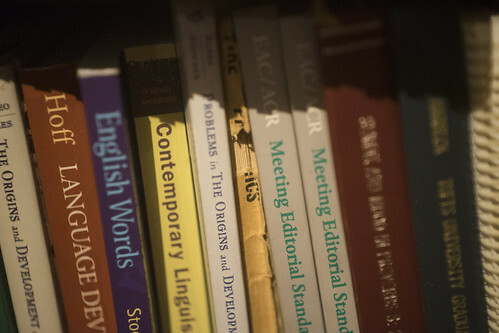 It’s sandwiched between books on editing and linguistics – to the right, study guides for an editorial certification exam; to the left, a workbook in the history of the English language. Farther to the right and out of focus are my father’s PhD dissertation and mine, one by the other. 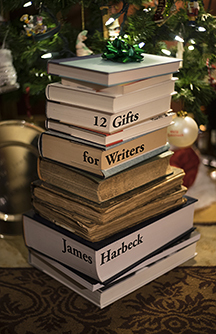 You can see that the book I am talking about today barely has a spine left. You can’t read its title. This isn’t another copy of the book I saw on my dad’s shelf. This is the book. It was in dodgy condition even by then. 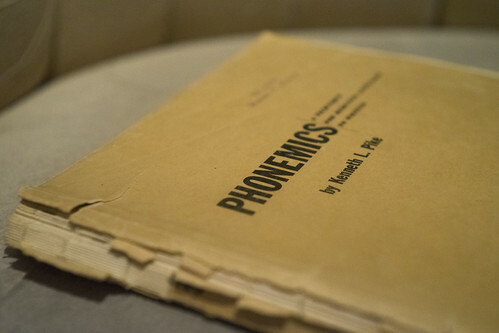 Phonemics. I didn’t know quite what it was, but it sounded important. A technique for reducing languages to writing. Phonemics – more often called phonology now – is more than just that, I should say. It’s the study of not simply the sounds of a language but what the speakers think are the sounds of a language. Which is not the same thing. Most English speakers, for instance, have no conscious idea that they are making a different sound with the p in speak than they are with the p in peak, but they still do it. The difference is aspiration – a puff of air after the p in peak (put your hand in front of your mouth to feel it) – and if you really emphasize the word, you will almost certainly really emphasize the aspiration too. And if you hear a non-native speaker say it without the aspiration, you will hear that they sound different, even if you can’t say just how they do. So when you’re a linguist analyzing a language, in particular one that doesn’t yet have a written form (there were many more such a half century ago), you can’t just record the sounds – the phonetics. You have to figure out what people think are the sounds – the phoemics. You have to figure out what sound differences are considered important and what aren’t. In phonology as in so many other things, it matters at least as much what you think you’re hearing and saying as what you’re actually hearing and saying. 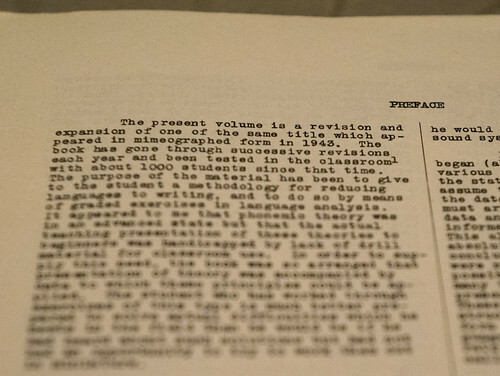 This copy was printed in 1961, but it’s the seventh printing of an edition that first came out in 1947, which is a revised and expanded version of one that was first made in mimeographed form in 1943. Yes, mimeographed. How many of you even know what that was? My dad actually had a mimeograph machine when I was a kid. I can remember the smell of the ink and the sound it made when you hand-cranked it. 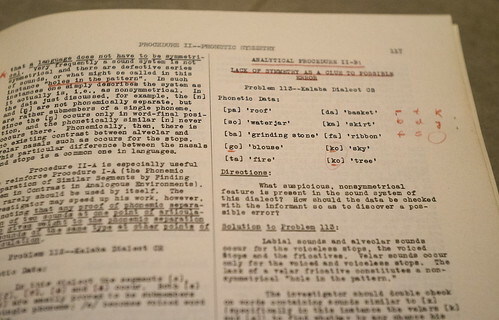 You can see that this book, though not mimeographed, is offset-printed from an original that was done on a typewriter. And now you’re reading this on an electronic screen, transmitted instantly from a long distance away, infinitely reproducible, and with pretty proportionately spaced fonts too. Can you figure out which two sounds have probably been conflated in the transcription? My dad’s red-pencil annotation may help you. 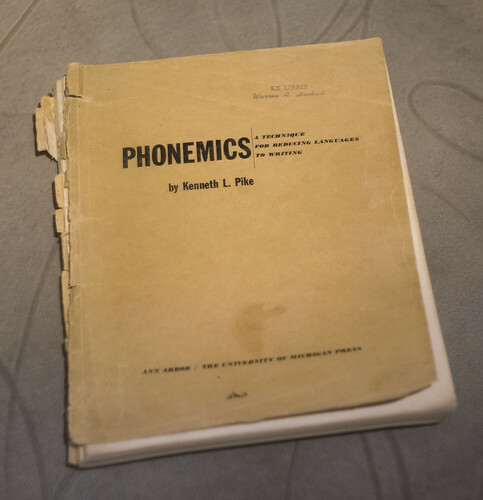 It would be great if I could say that I pulled this book off the shelf and learned all about phonemics from it as a kid. I did not. I was a kid. My eyes glazed over pretty quickly. It was too advanced for me and I didn’t want to admit it, which I would have had to do in order to ask questions about it. 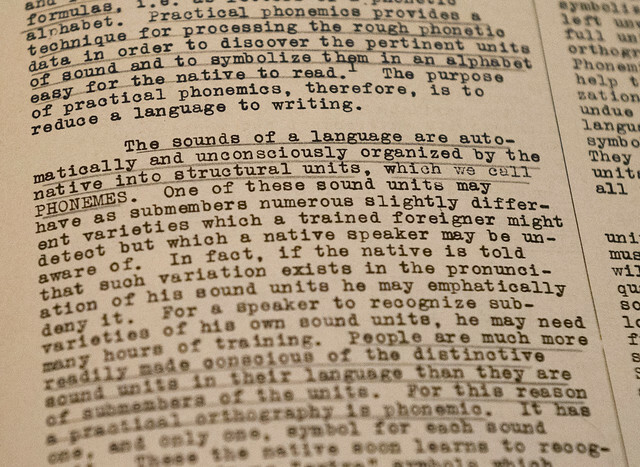 No, my first real introduction to the fascinating world of phonology and orthography came courtesy of J.R.R. Tolkien and the appendices in the complete Lord of the Rings: a little more basic and digestible – and fun. I later learned more from books that attempted to teach me other languages: Teach Yourself Norwegian, for instance (men jeg kan ikke tale Norsk). They explained the sound system of the language in question, but often they did so with British speakers in mind, which doesn’t really help a Canadian who is being told that one word has the vowel sound in cot while another has the vowel sound in caught (to Canadians, they are the same sound). Eventually it did help me learn something about British phonology, though. But I souvenired this book off my father’s shelf and have transported it with me for decades now. Between the time I first saw at it and now, I finished school and have had two whole post-secondary academic careers, one culminating in a PhD in drama and the other in an MA in linguistics (win me the lottery and we can discuss a second PhD). Now I can open this book and say, Ah, yes, this looks familiar. And Yup, you betcha, that’s right. I had it the whole time but I had to go elsewhere and learn before I could come back and understand it – and see that I’d had that knowledge with me all along. Which is the way it goes when you’re studying language, especially phonemics. You have what was handed down to you by your forebears, perhaps altered by time and medium, and you may just take it with you without really inspecting or understanding it. Or you may, through expanding your horizons and looking elsewhere, learn to understand it. It’s still there, rather worn and old, but not gone, not irrelevant. And such, too, is the goal of our education: To make us understand and appreciate what we already have… and to help us to understand the difference between what we think we’re hearing and saying and what we really are hearing and saying. A Word Taster’s Companion: Wow! Yay! Glides! 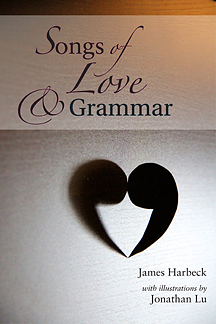 Today: the thirteenth installment of my how-to guide for word tasting, A Word Taster’s Companion. Glide. Come glide with me. You’ll get the hang of it. In fact, you already have the hang of it. You may never have been on a hang glider, but you have certainly glided smoothly on open air. If you’re flying a hang glider you may say “Wow! Yay!” But any time you say “Wow! Yay!” you’re gliding, no matter where you are and what you’re doing. A glide is really a high and tight vowel sound serving as a consonant, the open air flowing smoothly but somehow making a consonant. In English, we have two glides: /j/ and /w/, the first sounds in yay and wow. You know (if you’ve been paying attention and have read “The vowel circle”) that the ay in yay and the ow in wow are diphthongs: vowel sounds that involve a movement. These ones in particular move to narrower vowels, [ɪ] and [ʊ]. But you can also hear, especially if you say “wow wow wow wow” and “yay yay yay yay,” or if you hold the opening sound (“wwwwwow” and “yyyyay”) that the opening sounds are pretty much the same as the final sounds of the diphthongs. Glides illustrate even more clearly than liquids the fact that what is a consonant is often a matter of how it is used and thought of as much as of its characteristics. This is not true of all sounds; /a/ will never be a consonant, and /t/ will never be a vowel. But there is a grey area where consonants and vowels blur together, and the glides are in it (although I think glides sound more blue and yellow than grey). This is not to say that the glides are absolutely identical with the vowels except for how they’re used. They may or may not be. Say “ye ye ye ye ye woo woo woo woo woo.” Notice how you can tell where the glide stops and the vowel starts. In these words, the glides have to be tighter than the vowels in order to be distinguished from them. Watch how you say ya and you and we and wa. See if they’re as tight. But now say “ow ow ow ow a wa wa wa wa” and “ay ay ay ay a ya ya ya ya.” Watch how you say them. How closed are the glides? What else are you doing to make the distinction so it doesn’t just sound like “owowowow” and “ayayayayay”? Glides are voiced. They don’t have to be. But we no longer have phonemic voiceless glides in English. 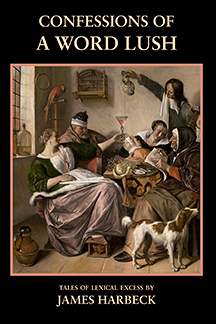 We almost still do: if you want to distinguish which clearly from witch, you may devoice the /w/ – or just say a /h/ before it that spreads the devoicing onto the /w/, which is not quite the same thing. A similar effect can happen in words such as human and humour. Glides are also susceptible to the same devoicing caused by aspiration that affects liquids: try pure twit. Say that slowly, perhaps as if you’re describing someone with great disdain. Listen to the glides: /pjur twɪt/ – the aspiration from the /p/ and /t/ spreads onto the /j/ and /w/ and devoices them. Glides can also be nasal or non-nasal (oral), just like the vowels they resemble – and, as with those vowels, this variation is allophonic but not phonemic in English. It spreads from a nearby nasal: compare mute (/mjut/) with beauty (/bjuti/). You may find it hard to hear the difference, but it’s there. Next: Huh. Is that all? Uh-uh.